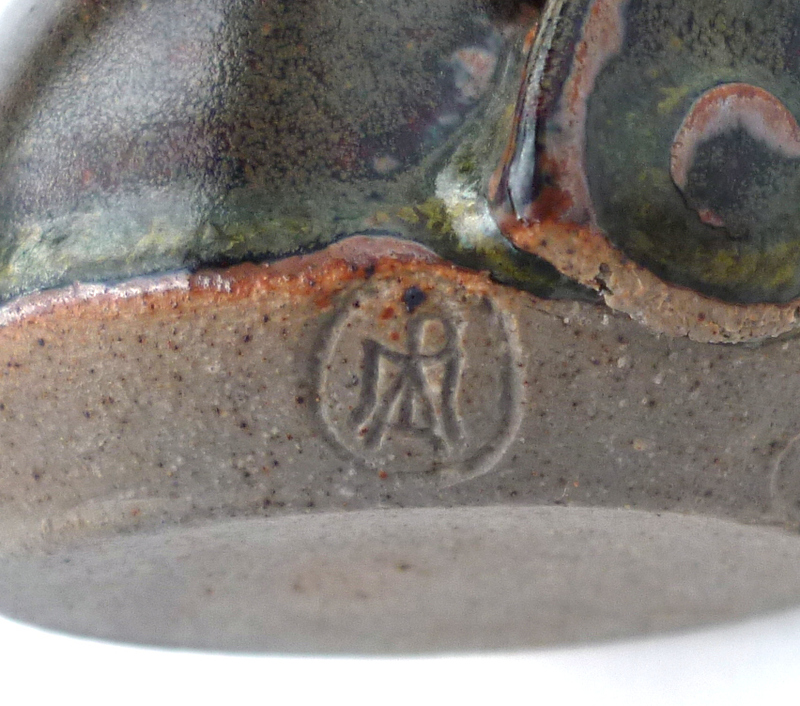 I believe this mark is Polperro Pottery ... run by Steve Harland with Frank Robinson until Robinsons death in 1974. 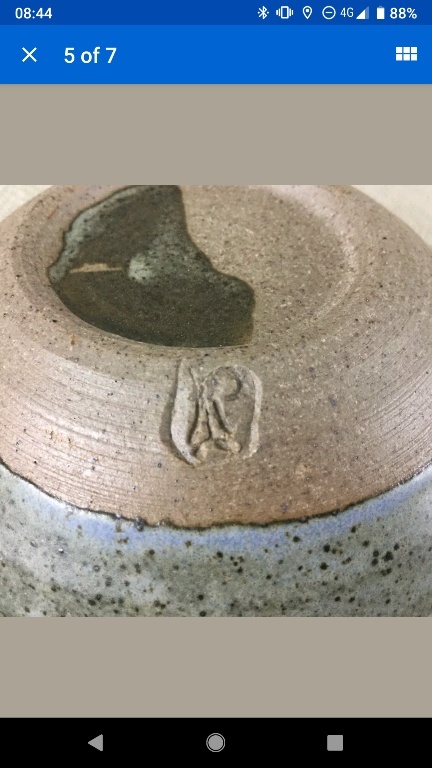 Then Roberta Norris took over the pottery and the original 'P' mark eventually changed to a rather complex mixture possibly based upon the intials of Frank and Angie (his wife) Robinson, and Roberta Norris - as you see here. 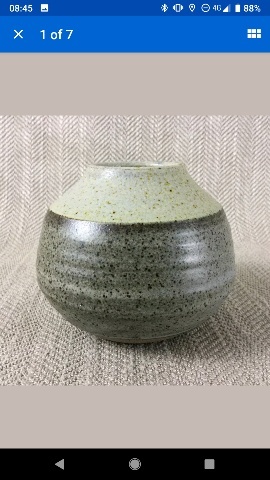 Google revealed the info I gave you, so I posted the Harland jug on my ihior site which you can see by going on there ... or you may come across the Harland jug and the same info also on google. I compared the two marks but there are too many differences, and it’s usually accompanied by Harland’s personal stamp or other ones. It’s possible they had another stamp but for now I think the attribution is still up in the air.